The one and only Henry Rollins contributes a column and far-reaching reportage to the music section of the LA Weekly. 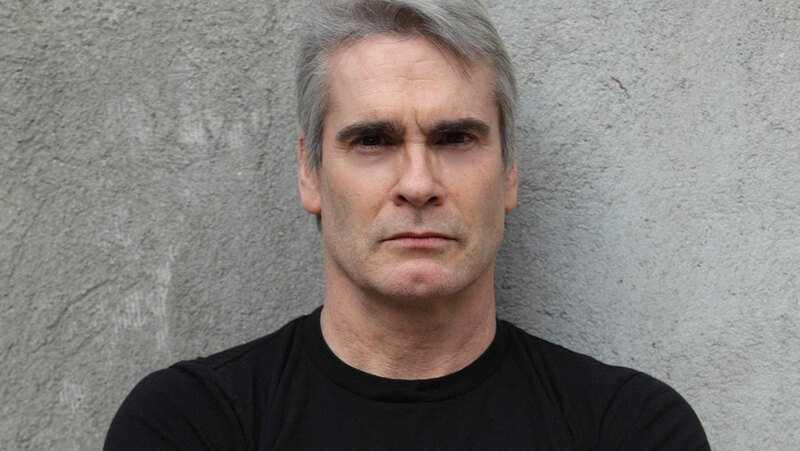 Look for your weekly Henry Rollins fix right here on West Coast Sound every Friday and make sure to tune in to Henry’s KCRW radio show every Saturday evening, or online, or as a podcast, or however else you decided to listen to the most eclectic DJ on L.A.’s airwaves. I have been in Africa for about eight days now. As someone once said, one day in Africa is like five days anywhere else. I would agree. By the time the sun is setting and you are able to enjoy the colors and the slightly cooler air, there is a feeling that you have been through something epic. The stillness and beauty of the moment is fleeting because the setting sun means that it’s time for the mosquitoes to come out of nowhere and form small black clouds in front of you. Soon they will pick their main course. That would be you. And then, the night begins. The insect world roars to life, the lizards come out and run across the walls, the dogs start to bark–it’s a lively scene. Not always the best sleeping environment but after awhile, you get used to it somewhat. Presently, I am in Kajo Keji, Sudan, a little north of the Sudanese/Ugandan border. We have been here for a few days. Our crossing into South Sudan was hassle free, even though we were late getting to the border, which actually closes at night. This region of Sudan still shows evidence of the wars that have raged in this country for over two decades. People are incredibly friendly but have a very challenging existence. No one seems to be doing all that well–just getting by is more like it. Here, most things are done manually. Water is drawn from wells or streams and carried back to the dwelling. Sometimes the distances are very long. I was at a market here yesterday and asked local vendors, via a man named Caesar who translated to the local Cucu dialect, how long their journeys were to the market. Women told me of carrying their wares eight miles each way and that it was how they had always done it. A man told me that when you have a family, you don’t think of anything else and you do what you have to and that’s the end of it. It is tough here for sure. South Sudan is one of the most hard-put places in the world. It’s why the NGO I am with, Drop In The Bucket (www.dropinthebucket.org) is here, to help drill for water and build sanitation systems for people in this region as well as in Uganda. For the last few days, I have been seeing their work up close and it’s amazing. I have met so many school children, teachers, and officials in the last few days and they have been great. As you know, South Sudan will be holding their Referendum vote in January of 2011. Registration is now. Two days ago, I met a group of Sudanese students who came over twelve hours on a bus from Kampala, Uganda–where they are going to school–to register. They were in their good clothes in the harsh African sun, sweating it out and happy to have registered. They were about to get back on the bus and go all the way back down to Kampala. They will come back up in January to vote. This what all the war and struggle was for. This is why so many people died. This vote will hopefully secure the freedom of South Sudan and they will be come autonomous. This is huge. I have been talking to a lot of people and everyone is excited and ready to get up the road to freedom. Seeing how much it means to these people to be able to vote, I can’t help but think of all the Americans who didn’t vote in the recent elections. I guess they didn’t want it enough. You get the Democracy you deserve every time.